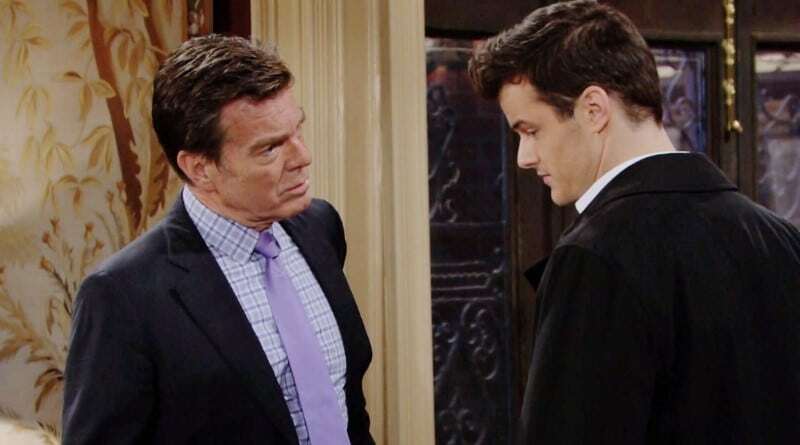 Young and the Restless spoilers reveal Jack Abbott (Peter Bergman) tells Kyle Abbott (Michael Mealor) to shape up and pick a woman. At the moment, Kyle finds himself torn between new wife Summer Newman (Hunter King) and Lola Rosales (Sasha Calle). Jack encourages his son to do what is right and decide quickly instead of dragging everything out on the CBS soap opera. Y&R spoilers promise Kyle Abbott found himself in quite the predicament. After fighting to save Lola Rosales’ life by marrying Summer Newman, he now realizes that there’s no way he can stay true to Summer. He still loves Lola, and now he knows that she still loves him. After learning of the mess that Kyle has gotten himself into, his father Jack Abbott gives him some advice. Jack basically tells Kyle to make up his mind pronto. The last thing he wants is for his son to drag this decision out, which would only end up hurting the ladies even more than they need to be hurt. It seems that Kyle is set on leaving Summer so that he can reconcile completely with Lola. However, this doesn’t mean that he’s not torn between the ladies still. Jack tells him to get the job done so that he doesn’t hurt Summer any further, reveal new Young and the Restless spoilers. Kyle: "I have to tell you something, and I don't know how to say it." 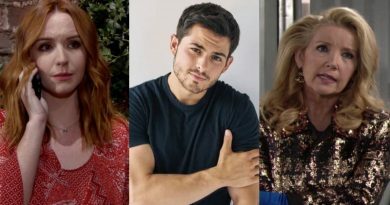 While Kyle Abbott may choose Lola Rosales, that won’t stop Summer Newman from fighting for the man she loves on Young and the Restless. 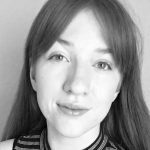 Spoilers indicate she understands there’s something between Kyle and Lola. While she’s upset that he obviously loves another woman, she will fight for their marriage. Summer believes that they are end game. Plus, Jack Abbott is right — his wife is already deeply attached. She truly believes that she and Kyle are the best possible match for each other. She has even gone as far as to take Jack’s job offer at Jabot. Now, both her marriage and her new job threaten to fall apart. Y&R spoilers say Kyle continues to be caught between both of the ladies fighting for him. So, his father’s advice may be the only thing to save him. He knows he needs to act quickly so as to not drag it out. However, he may not listen to Jack’s advice as his father would want. This isn’t the first time Jack Abbott has found himself in his son’s affairs, remind Y&R spoilers, whether he liked it or not. While he supports Kyle Abbott completely, he also knows he sometimes needs a guiding hand. But he also needs Jack to always have his back, as well. This is exactly what Jack did when Phyllis Abbott (Gina Tognoni) came to Jack with proof of Kyle’s cheating on Young and the Restless. Spoilers promise he won’t fall victim to her blackmail as Jack refused to play ball. He said that Kyle would come clean to Summer, which ruined her whole scheme. Now that Jack helped him out of one mess, Kyle may continue coming back to him for advice. He knows he needs to make up his mind, but he finds this whole thing difficult. With Jack Abbott’s help, maybe Kyle Abbott can finally decide which woman he loves the most on Y&R on CBS. Be sure to head on back to Soap Dirt often for even more Young and the Restless spoilers.